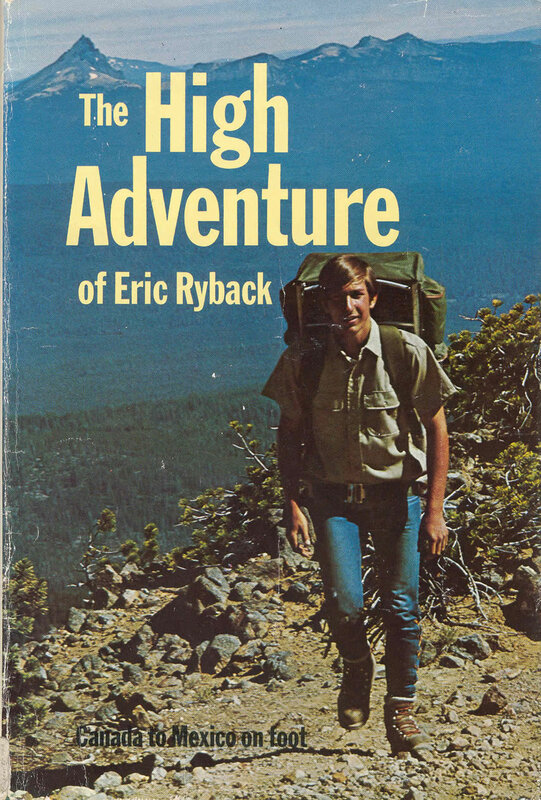 Eric Ryback hiked the entire Appalachian Trail in 1969 when he was only 17 years old. The next summer he was the first person to hike the Pacific Crest Trail, 2500 miles from Canada to Mexico. He did it in 132 days carrying an 80 pound pack. Two years later he became the first person to complete backpacking’s “triple crown” by hiking 3,000 miles along the Continental Divide, approximating a route that now makes up the Continental Divide Trail. He wrote a book (above), had a bunch of articles written about him, tasted a little celebrity, then hung up his boots and reemerged in the 90s as a one of the nation’s most accomplished mutual fund managers. Makes sense. A few pictures from his PCT hike can be found here. Just completed this book and it was next best thing to being there. i live neer the trail in the san gabriels, so,ca. and hike alone often. Any one know what mr. Ryback did after the hike? the book ended with no clue. what else did he do< where is he now and what became of him? Did he ever do the Alaska trek he spoke of in the book? Hi I just read Eric’s book and was wondering if the photo of the climber in the middle of the book was Galen or not. I grew up in the shadows of the Presidential Range, the highest mountains in the Appalachian chain. I hiked every day I could, and dream of completing the entire AT. I’ve read – and reread (many times) – both of Eric’s books and adore them immensely. They ignite a hiker’s aspirations and quell the fears of an impossible experience. From miscalculating what to wear (no gloves in the Cascades?!) to recording minute geographical details (ahhh, a fellow scientist), I’ve been enthralled with thru-hiking since the High Adventure. Thanks for sharing!